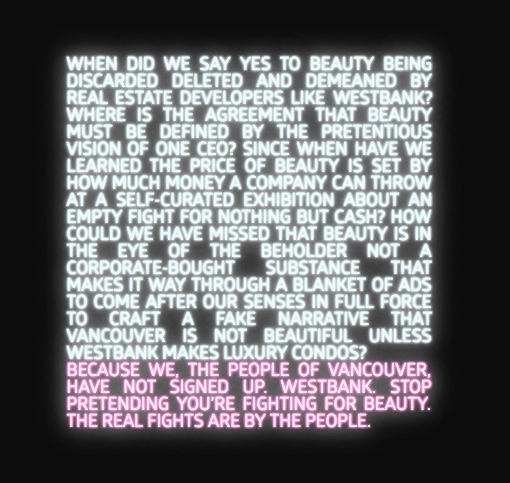 For their exhibition, Westbank wrote an awful and pretentious poem about how they are fighting for beauty. They've slapped it on the stairs on Commercial Dr x Broadway skytrain station. They've even created a neon light display of the poem. The original poem by Westbank is located on the bottom of this page here or here.